I have an A6000. I bought it last year before a month long trip to Ecuador. I think it's a fantastic camera, it's much more capable than I am! I bought it after reading your reviews of the other Sony mirrorless cameras and a handful of other reviews. Ditto Lordyosch. Thanks to your previous camera/photography posts Chris re. Sony's latest mirrorless cameras - NEX 7 etc., I took your advice and bought the a6000 last year. What I love about this camera is that it feels like a camera that I will not outgrow. Its a great point and shoot, but has all the creative abilities I can throw at it - when I learn! I had trouble getting my hands on the discontinued V-POD, so bought their nearest equivalent at 390g. Good point re. weatherproof camera but not a weatherproof lens. I was tempted by the Zeiss lens as I'd read mixed reviews online about the 16-50mm kit lens, but judging by the results of your photos using the same lens I'm happy with the lighter weight (and less expense) of the kit lens. It seems Sony's inbuilt camera software corrects any barrel distortion etc.? I'm certainly happy with the 16-50mm lens. 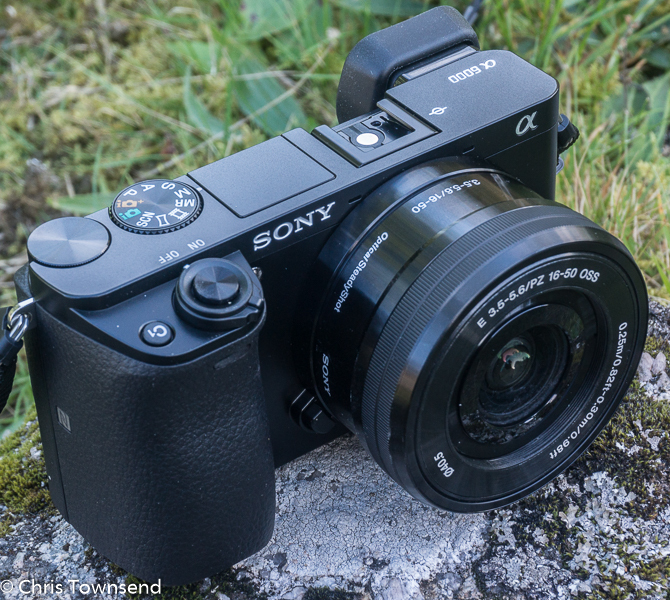 Sony does deal with the problems you mention in-camera with JPEG files. The lens & camera are designed to work together.I shoot raw files and any correction needed is then supplied in Lightroom. A shame the V-Pod has been discontinued. I also bought a secondhand 6000 with less than a 1000 shutter actuations on eBay, great camera and a replacement for my old NEX6..bit of a bargain for £270 and mint condition. Really like it's low light ability. Sony make some great mirrorless cameras and no new lenses to buy.